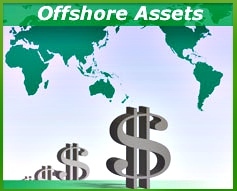 Offshore bank accounts provide individuals seeking an alternative investment opportunity or different avenue of financial management to improve their financial planning options. Financial instruments held within expat bank accounts often include products that's value is based on market forces, or pre-determined contracts that offer lower interest rates and costs. The potential benefits of offshore banking outweigh those of more restrictive banking regulation and policy. This is achievable via a range of products. Foreign currency of various countries and denominations is held within offshore bank accounts. Money held in offshore accounts for foreign exchange trading also have several benefits. For starters many offshore banking facilities offer enhanced privacy protection, and the ability to pay bills or expenses in foreign currency rather than a domestic one. Some offshore financial institutions even provide accounts able to hold more than one currency or multi-currency accounts. Contracts for difference such as currency pairs, equity swaps and similar financial instruments are in effect derivative financial securities. These products provide traders an opportunity to capitalize on price movements without actually having to hold the underlying asset. In some cases these CFDs are purchased using capital leveraging or margin. In other words, a credit account is used in addition to the primary fully funded offshore account. Funds come in many shapes and sizes, and are either directly managed by offshore banks, or traded with their services. Bond funds, exchange traded funds, and mutual funds are just a few of the fund types that are held within expat bank accounts. Additional funds such as hedge funds, money market funds and fixed income funds are examples of others. These funds are either maintained independently through a trust established at an international bank, or managed with the assistance of financial service professional. Over the counter securities trading services are available via select offshore financial institutions. These include pink sheets, another term for stocks not traded on larger exchanges. Collateralized debt obligations are another type of OTC exchanged through offshore accounts. Essentially, if it is not traded via a major formal exchange that is regulated by a particular organization, then financial instruments are considered OTCs. Equities are an asset class within several offshore financial institutions and expat bank accounts. Moreover, stocks that are not over the counter can be traded via accounts at offshore banks. This is because when the offshore bank has a headquarters in the domicile of residence, the trading networks are interlinked enabling offshore securities trading. Stock options or stock derivatives, are also available via some offshore banks. Certificate of deposits are able to yield as high as eight percent or more at select offshore financial institutions. Specific rates are determined based on deposit amount, location, term and applicable banking policy. These rates are above and beyond some of the best international CD rates available, and this makes these negotiable instruments an attractive investment opportunity. Additionally, offshore banks do not necessarily withhold interest income tax due to differences in regulatory requirements. Due to the fact offshore accounts are located in foreign jurisdictions, they are not subject to the monetary decisions of other banks in larger jurisdictions. It is for this reason, interest rates on loans from offshore banks are able to be more competitive. For example, offshore bonds that cost less to underwrite are better able to offer higher yields to lenders or investors. Similarly, just as loans are made, debt instruments such as international treasuries, corporate debentures and convertible bonds are also held or purchased within offshore accounts. The range of financial products made available through offshore accounts is as diverse as the jurisdiction's regulations and banking policies allow. Due to the more liberal banking practices made possible via these financial institutions, more money management opportunities are available to investors and traders seeking investment alternatives with higher yields and potentially higher capital gains. In any case it is important to understand how any offshore investment, deposit or account is protected and to carefully study and discuss the risk and safety of such decisions with a financial professional.